Hey, I'm Nick97, but you can call me Nick. I've been editing here for a few years now. I'm a 19 year old Canadian university student with a love for animation and comedy, in particular The Simpsons. Seriously, I watch way too many cartoons. Probably not the best one to be answering questions, but feel free to ask anyways! I currently reside in Canada, although I have also had the awesome opportunity to visit a number of other countries however, including: Ukraine, Mexico, Austria, Colombia, Panama, Venezuela, Jamaica, Costa Rica, Dominican Republic, the Bahamas, Dominica, Barbados, Curaco, Germany. I've also been to a number of different places throughout Canada, and the US (to a lesser extent). I enjoy reading, drawing, editing here, and generally wasting my time. I also enjoy playing videogames and am a fairly avid gamer. For the most part I only play Nintendo games, mainly Mario and Kirby, but also others. I own a number of systems, although I mainly only use my Wii and Nintendo 3DS. If you'd like to share friend codes, leave a message on my talk page. :) Although I don't claim to be an expert, I am also fairly knowledgeable on the subject of videogames in general. As to the current state of the show, I fall about mid range. I certainly don't think it's still the "best thing ever," but nor do I think it's utter crap. I honestly don't mind it one bit that the show is still going on, I still enjoy watching the new episodes and thats good enough for me. Besides, the comics are way better now anyways. Making ancillary articles for all episodes from seasons 13 and 14. Making ancillary articles for all the comic stories contained within the Big Bratty Book of Bart Simpson. Making ancillary articles for random pre-season 13 episodes that contain chararacters from another country. Complete the numerous articles relating to the Library of Wisdom books. Making all the articles for Troy McClure's various media. Some other random articles I plan to get around to making. Don't know where, don't know when. Scouring the internet in the hopes of filling up the "References in other media" page as much as possible. Make pages for every country ever seen or mentioned on the show. Finished all the ones on SNPP's list. Know of any other? Let me know! Make pages for all the characters mentioned on Ned's List of Laudable Lefties. 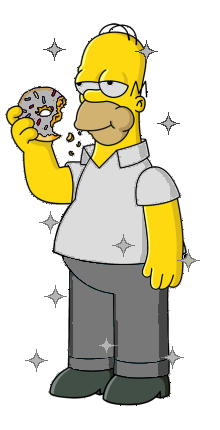 This user was awarded the Golden Homer Award for July 2011! This user was awarded the Silver Homer Award for September 2011! 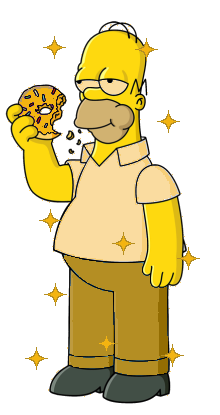 This user was awarded the Golden Homer Award for November 2011! This user was awarded the Golden Homer Award for December 2011! This user was awarded the Golden Homer Award for April 2012! This user was awarded the Golden Homer Award for August 2012! 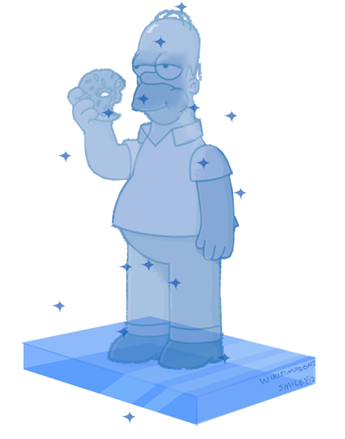 This user won the Crystal Homer Award for 2011! User:Nick97/Signature - My signature page. User:Nick97/WIP - My page containing various works-in-progress. Modified on October 1, 2014, at 16:58.